My cousin, Hannah, is a rock star, y'all. When her firstborn daughter was around nine months old, she and her husband found out she was pregnant again...this time with twins! She now has three little ladies under the age of two, and they are the most adorable girls ever! 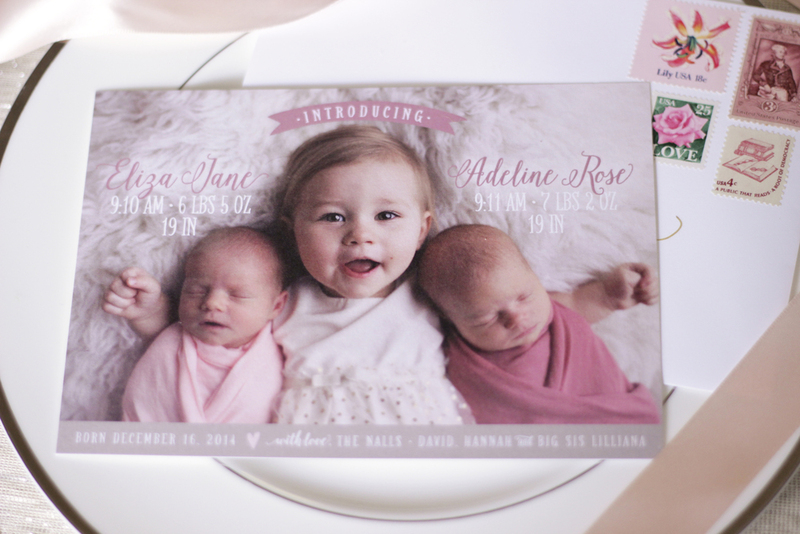 I recently had the honor of designing her birth announcement for the twins. Is this not the sweetest picture EVER? I love custom orders like this, where the photo is so striking, there's not much else I have to do to make it shine!